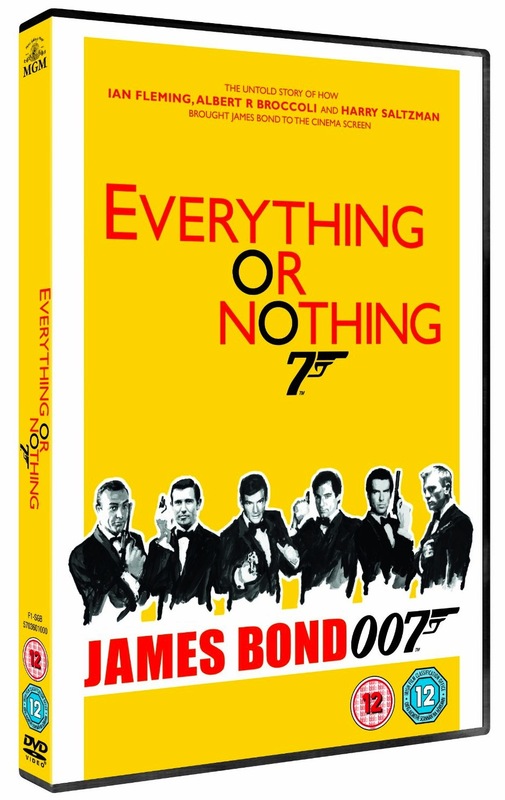 The 50th Anniversary James Bond documentary Everything or Nothing is released today in the UK on DVD. This is an excellent, documentary about the making of the James Bond books (see what I did there?) with lots of Ian Fleming info and film footage of the author. It also features an interview with Lucy Fleming. While the doc is not (yet?) available on DVD in the U.S., you can steam it from Netflix and Amazon. Amazon Prime members can stream it for free (that's how I watched it). Purchase the DVD from Amazon.co.uk. Watch it via streaming on Amazon.com. Don't miss this one. It's the Skyfall of Bond docs! Thanks for the heads up, I'll be nipping out to buy that! I hope this gets released in America eventually. My collection is going to feel a bit incomplete without it. i saw it on netflix- i think three times so far :) i love the b&w treatment of the classic movie scenes at the beginning (makes me want to re-watch Bonds with the color turned off) and all the segments that focus on Ian Fleming. Love it! I only mentioned the doc briefly so far on Spy Vibe in my review of Skyfall, but I'll post something more when a US release is announced. I got to see it in the cinema in the UK just prior to Skyfall, went down very well with me and audience I saw it with. Seeing as UK TV stations were cranking out ultimate James Bond documentaries throughout the 90s, almost one a year, this one cover lots of new ground and in a very emotionally grabbing way. 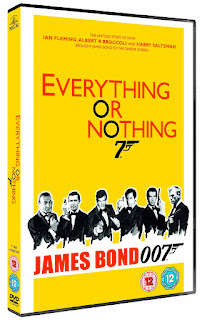 I'd call this the definitive Bond film doc - I can't see how anyone could be more thorough. But is it getting a blu-ray release? !